The latest Casumo promotion sees players battle it out for £5,000 each day until Saturday 2nd June. Every player who deposits £25 or more on a single day goes into the next draw, with one lucky punter claiming £5,000. This promotion at Casumo will see the Scandinavian casino site give away £100,000 in total. This is a hugely simple casino promotion, where all you need to do is make a deposit to enter. See the Casino Deposits page for information on funding your player account. You don’t have to play through the sum a certain number of times, in fact you don’t need to actually play at all. As long as you fund your Casumo account with £25 or more, you are in that day’s draw. Only one deposit per day counts as a draw entry, so each qualifying player has the same chance of winning as anyone else. Even if you make five £25 deposits on the same day, you generate just the one entry. Similarly, if you pay £50 into your account, you still have the exact same chance of winning as someone who deposits the minimum £25. If you deposit the minimum sum or more between 00:00 and 23:59 (Central European Summer Time – a hour ahead of the UK), you go into the draw that takes place at 00:01 (CEST) the following day. The company randomly selects a single qualifying player’s name, and they are the winner. Only one player can win each day and, if you are not lucky enough to win, you must make another qualifying deposit on another day to enter again. The online casino tries to contact each winner by phone the following morning. If you do not answer your phone, they send an email to the address you stated on registration. You then have 14 days to phone the claims number in the email and pick up your prize. If you do not make contact within that two-week period, the prize becomes null and void. 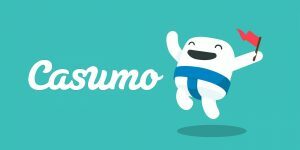 As soon as you make the claim, Casumo boosts your player account to the tune of £5,000, which you can use to fund further play. You could also choose to withdraw some or all of the cash prize to your bank account, credit or debit card, or eWallet of choice. This is subject to any withdrawal limits the site imposes. The Casino Withdrawals page offers more details on taking cash out of your player account. Your odds of winning this Casumo promotion are entirely dependent on how many other players take part over the course of the same day. If just 100 members play, you would have a 1 in 100 chance, whereas you odds of 1 in 100,000 if 100,000 users take part in total. With £5,000 in your back pocket, summer 2018 could instantly become the most magical one of your life. You could jet off to a tropical location and lap up the balmy weather, whilst your friends at home deal with the traditional UK washout. Alternatively, you could upgrade your car to something a bit more sleek and nippy. It could even help you put together a deposit for a house. How you spend the £5,000 is completely up to you. Just remember that you only have until Saturday 2nd June to take part. There is no restriction on how many different days you can enter, but remember to gamble responsibly. In addition to this latest promotion, Casumo is one of the best new casino sites around. Its cute graphics and fun gamification make it far more than just an online casino. It is a journey and an adventure, which you will love. The site offers a wide selection of titles from the top games developers around, and works perfectly on desktop and mobile devices. In addition, it provides a fantastic welcome bonus of a 100% match on your first deposit, up to £300. The wagering requirement is a very fair 30x the bonus amount. You also pick up 20 free spins on Starburst, as a no-deposit bonus. Take a look at the Casumo casino review to find out why our expert reviewer rated this site an amazing 9.5 out of 10! Good luck with the promotion and enjoy playing at Casumo.